Crossing the Alps about killed me. I could do what men say and men do. and the hot air drove me to it. and I was Cleopatra to their thrones. in the pot. My nose turned to dampness. of a boy milking cows. and believing what I only heard. knows the language of the rain. Sunni Brown Wilkinson’s poetry has been published or is forthcoming in Sugar House Review, Ascent, Cimarron Review, The Cossack Review, Southern Indiana Review and other journals and anthologies and has been nominated for two Pushcarts. She is also the recipient of the Sherwin W. Howard Poetry Award from Weber: the Contemporary West. 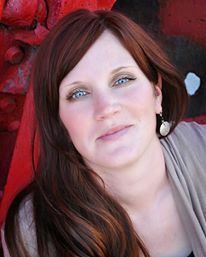 She holds an MFA from Eastern Washington, teaches at Weber State University, and lives in Ogden, Utah with her husband and three young sons.